"We were referred to The Steuwe Team by friends, and we are so glad we listened to them! Jo and Jennifer are simply the best to work with! We cannot thank them enough for all their hard work and dedication. We know we weren't their only clients at the time, but we never once felt like it! The Steuwe Team was on top of everything, from the small details in the beginning to the small details right up to the end. Even when we hit a few bumps along the way, they knew exactly how to handle them effectively and efficiently. They are at the top of their field with their extensive knowledge and experience of the market, but what really sets them apart is who they are. Jo and Jennifer are WONDERFUL to work with! They are very personable, reliable, and just a blast to talk to or be around! It's quite rare to meet a team that is both at the top of their field, and a pleasure to work with!" "The Steuwe Team is amazing. They managed my property as a rental for me for 8 years while waiting for the housing market to bounce back in Michigan. I had been anxious to sell previously and I really trusted their feedback. A couple of times they told me, "It's not time to sell yet, the market is still getting stronger." They were right. When the time came, they said, "It's time to sell if you are comfortable with it." I was able to sell my condo for more than I anticipated and Jo and Jennifer communicated with me through the whole process." "Jo and Jen Steuwe listed our home during the holidays, a difficult time to sell. They came armed with an aggressive plan to market the house and were very easy to work with. Immediately after the holidays, we had multiple offers, accepting one for near asking due to their negotiating savvy. I would highly recommend The Steuwe Team!" "The Steuwe Team is my go-to real estate team. They just listed and sold my townhome in Novi in the month of November (not the best season for selling!!). It was listed and an open house was immediately held. Within 2 days, I had a full price offer! This property was a rental home and the Steuwe Team was also responsible for leasing and managing the property as I now live in Atlanta. I owned the property for 15 years and it was never vacant for more than a month and often had tenants that stayed 5 years. If you want a team that is full of energy, thinks out of the box, and has an extensive network of buyers and investors - then look no further. 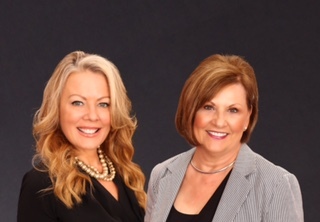 JoAnn, Jennifer and The Steuwe Team are wonderful to work with, and are in constant communication throughout the process. Five-star rating from me for sure!" "JoAnn and Jen were AMAZING! As an employee of a mortgage company, and someone who's been in the financial industry for 5+ years, we couldn't have asked for a better team. They attended inspections, responded later in the evenings when we were off work, and most importantly, you could tell they were looking out for our best interests. JoAnn and Jen weren't scared to express their opinion if they thought something wasn't going to be a good fit, or we had to have it as part of the process." "Our negotiations were very complicated and the Steuwe team knew when to press and when to back off. They possessed an innate sense of human nature. Buying and selling a home can very personal and we were very glad The Steuwe Team was looking out for our interests. Their attention to detail was most impressive. Everyone walked away from closing feeling they were treated fairly. I highly recommend their expertise." "The Steuwe team has been handling all my real estate transactions for many years. I've always been impressed with their accurate appraisals of properties and rental possibilities. Their aggressive advertising and knowledge of the market have proven time and time again as an invaluable resource for our painting and property management company. I highly recommend their services to anybody the demands results." "Jo Steuwe sold my mom's house in record time! We had over 30 showings in just 2 weeks, even though we couldn't list it until early December. The key was taking Jo's advice and carefully following a customized checklist in order to get the house ready to sell prior to listing it. We sold it for more than we ever thought we would get, as well."